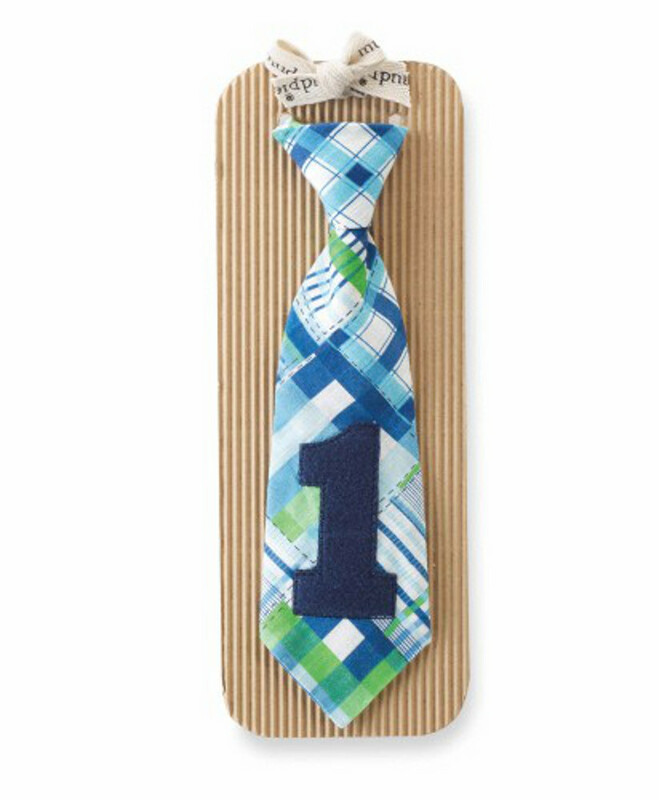 Dressing baby boy up for his first birthday is easier than ever with "I'm One" Tie! The adjustable madras plaid necktie features a number 1 applique and easily attaches to any outfit he wishes to wear on his special day. Velcro closure at back of tie.